Fish, or lower vertebrates, occupy the basal nodes of the vertebrate phylogeny, and are therefore crucial in interpreting almost every feature of more advanced vertebrates, including amphibians, reptiles, birds and mammals. Recent research focuses on combining evolutionary observations - primarily from the fish fossil record - with developmental data from living fishes, in order to better interpret evolutionary history and vertebrate phylogeny. 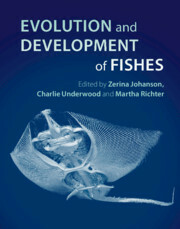 This book highlights the importance of this research in the interpretation of vertebrate evolution, bringing together world-class palaeontologists and biologists to summarise the most interesting, current and cutting-edge topics in fish evolution and development. It will be an invaluable tool for researchers in early vertebrate palaeontology and evolution, and those particularly interested in the interface between evolution and development.